The African Spoonbill (Platalea alba) is a long-legged wading bird from the family of ibis and spoonbill (Threskiornithidae). 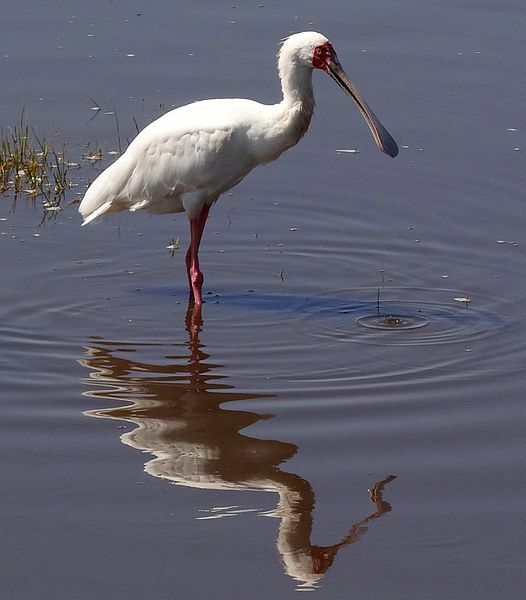 The African Spoonbill is a long-legged wading bird. Its body is predominantly white, except for its red legs, face, and bill. This bird can be easily identified by its uniquely spoon-shaped bill. At birth, the African Spoonbill's bill does not resemble a spoon. It is born with a short beak, that gradually develops into its spoon-like shape. It usually resembles a spoon right before it is time to leave its nest. Both the male and female birds are similar in appearance. 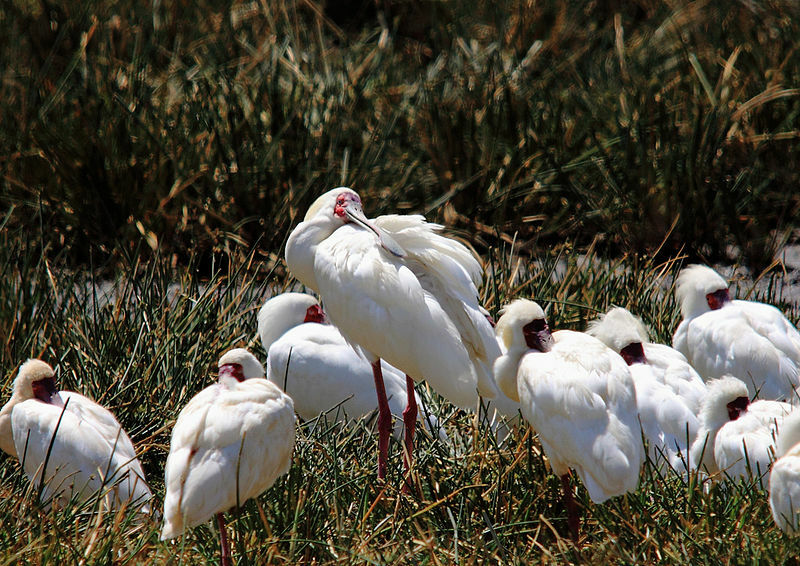 African spoonbills have pink-red legs and a bare red skin between the eye and the beak. They swing back and forth with foraging with beak. The young are born with a short beak. 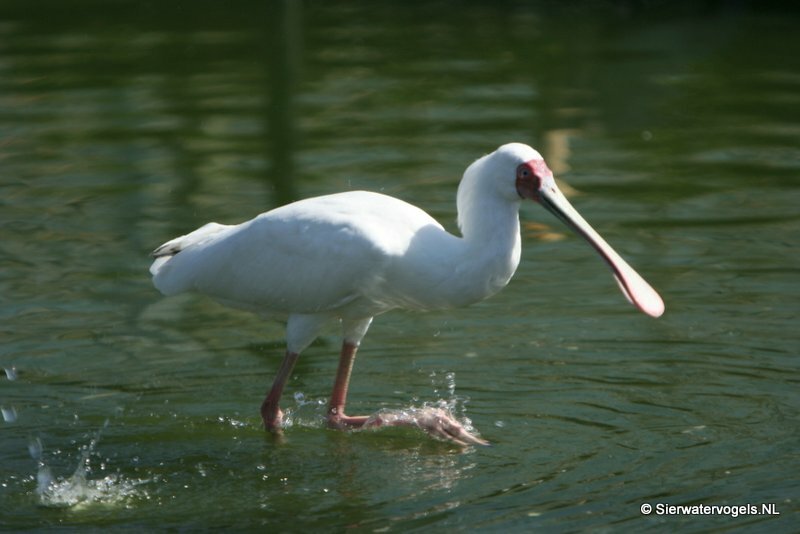 The male (drake) of the African Spoonbill measures approximately 90-91 centimeter. The female measures approximately 90-91 centimeter. The male will weight about 1200-1900 gram. The female will weight about 1200-1900 gram. It lays its eggs mostly in a nest platform of sticks or reeds in a tree near water, but its nest can also be found in swamp reeds, among rocks, marsh plants, or cliffs. These nests are either near the ground or in trees over water. The inside of the nest is often lined with leaves. 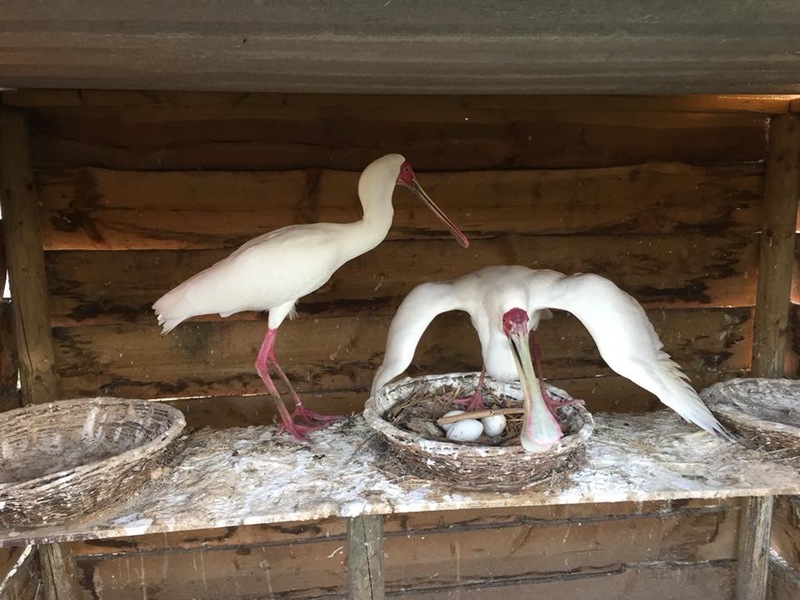 The female African Spoonbill usually lays from 2-5 spotted with colored dots of red, brown, or blue eggs and incubates them for 27-29 days. 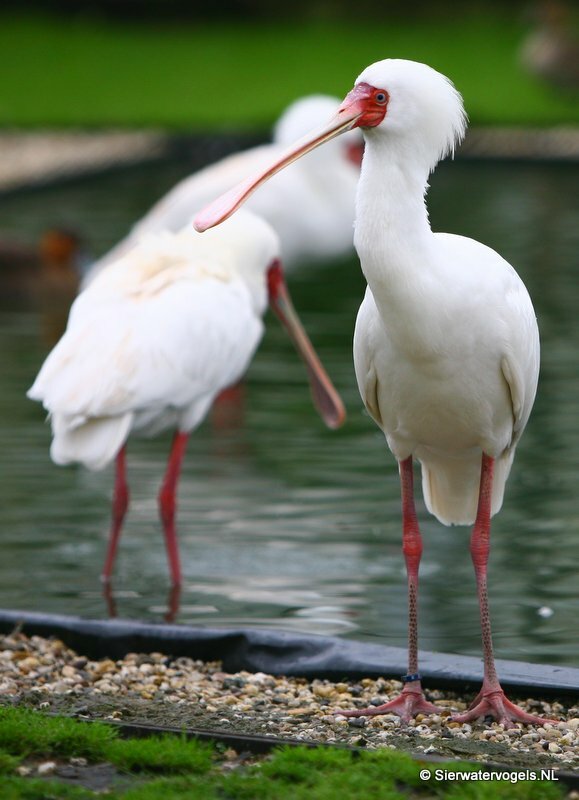 Recommended leg band size for the African Spoonbill is 14 mm. The leg band can only be applied on a young long-legged wading bird at around 0 days old.